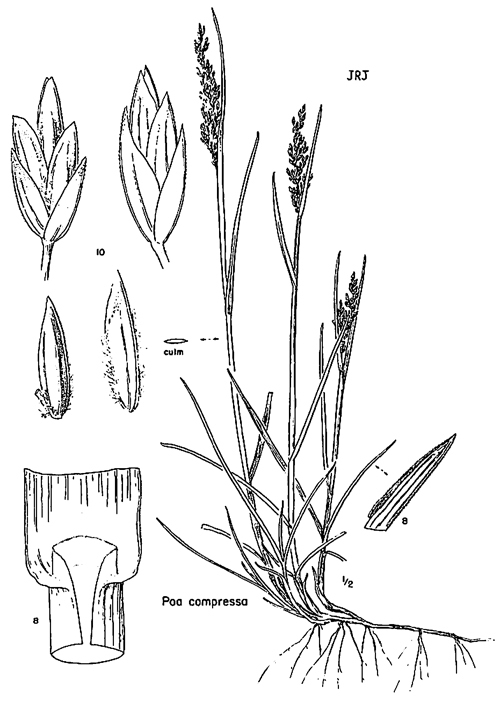 Poa compressa. Cronquist, et al.1977. Intermountain Flora. vol. 6, The New York Botanical Garden, New York. redbuttecanyon.net. Poa is a genus of annual or perennial C3 grasses. 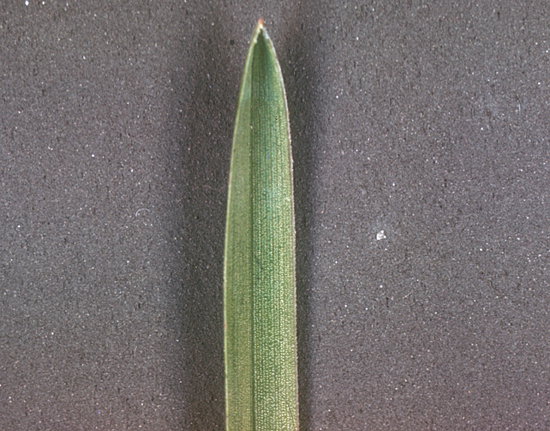 Leaves with a distinctive, blunt, boat-shaped tip; leaf sheaths free (except base), margins overlapping. Flower spikelets 2-several flowered, the upper florets small or vestigial, awnless, laterally compressed; glumes (2 bracts at the base of the spikelet) shorter than spikelet, 1st glume often 1-veined, the 2nd 3-veined; base of lemma (first bract of the floret) often cottony-hairy, back with a longitudinal ridge (keeled); inflorescence with branches in small clusters of 2-5 (occasionally many).